Home | People | SafePaw ice dam melter snow melt "Green Award Winner" 100 percent safe Ready to Ship. | Safe Paw ice snow melt melter works like no other and is 100 percent safe five gallon pail 35 lbs. In Stock..Ready to Ship. Home | Dogs | SafePaw ice dam melter snow melt "Green Award Winner" 100 percent safe Ready to Ship. | Safe Paw ice snow melt melter works like no other and is 100 percent safe five gallon pail 35 lbs. In Stock..Ready to Ship. Home | Horses | SafePaw ice dam melter snow melt "Green Award Winner" 100 percent safe Ready to Ship. | Safe Paw ice snow melt melter works like no other and is 100 percent safe five gallon pail 35 lbs. In Stock..Ready to Ship. Home | Cats | SafePaw ice dam melter snow melt "Green Award Winner" 100 percent safe Ready to Ship. | Safe Paw ice snow melt melter works like no other and is 100 percent safe five gallon pail 35 lbs. In Stock..Ready to Ship. Home | SafePaw ice dam melter snow melt "Green Award Winner" 100 percent safe Ready to Ship. | Safe Paw ice snow melt melter works like no other and is 100 percent safe five gallon pail 35 lbs. In Stock..Ready to Ship. 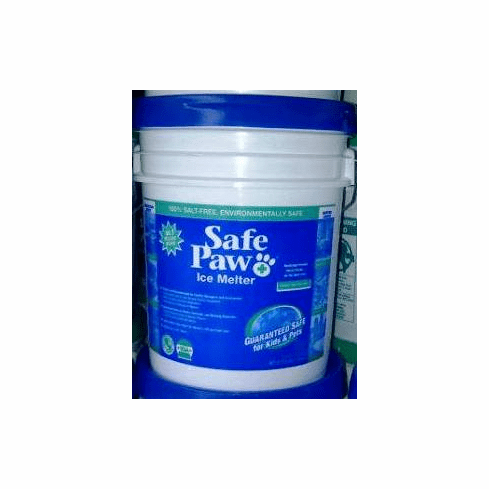 Safe Paw ice snow melt melter works like no other and is 100 percent safe five gallon pail 35 lbs. In Stock..Ready to Ship.